(23.03.2017) Trials of conscientious objectors Onur Erden and Uğur Gültekin, who were pending a trial without arrest on charge of deserting mandatory military service, were heard by Gelibolu 2nd Corps Commandership Military Court. As Gülen’s trial was adjourned to July, Eden was sentenced to 12 months in prison and reduced to 10 months by the court, however, announcement of his verdict was not deferred. Erden will be behind bars for 10 months in case the penalty is approved by the Military Supreme Court. 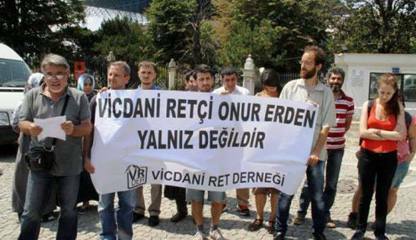 According to a report on vicdaniret.org, Gültekin’s trial was adjourned due to the agenda that military courts may be lifted.